IT’S TIME TO GET INVOLVED! Never doubt that a small group of committed citizens can change the world. Indeed, it is the only thing that ever has. The Maverick Volleyball Club is all about fun, fitness and the joy of intense competition. No matter what your availability is, your contribution will be most welcome. Every minute of your time will make the Club a stronger organization, to the benefit many young athletes! The Club has multiple programs for which coaches are required and we accept coaching staff applications year round. Coaches are essential to the growth and development of the sport in our area and each Maverick Coach has passed the police screening requirement. Choose from the various levels of skill and commitment that will be the best fit for you by clicking HERE. The Maverick Volleyball Club offers several sponsorship options for individuals and companies. Our Club takes pride in our successful track record of promoting and fostering leadership, organizational, team and life skills for the benefit of its members. Please help us by becoming a sponsor. Click here for more information. In catering to our francophone clientele, we occasionally need help with translating and proofreading, especially for our web site. We would appreciate your help. Maverick Volleyball has plenty of amazing stories to tell. We need people to write articles for newspapers, contact the press (we'll provide the contact info) and get local and national media to talk about Maverick Volleyball and the accomplishments of our youth. We need organizers for this popular fundraising event which donates hundreds of items to the Ottawa Food Bank every year. 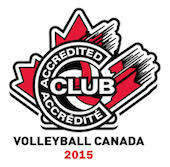 Over 50 school volleyball tournaments are organized each year in our community. Maverick Volleyball supports these tournaments by organizing contests and providing special MVP and MIP prizes. We also set up information tables for players and parents to learn more about our program. Volunteers can set up the information tables, meet with the school coaches, hand out prizes, take photos, and answer questions about our club. 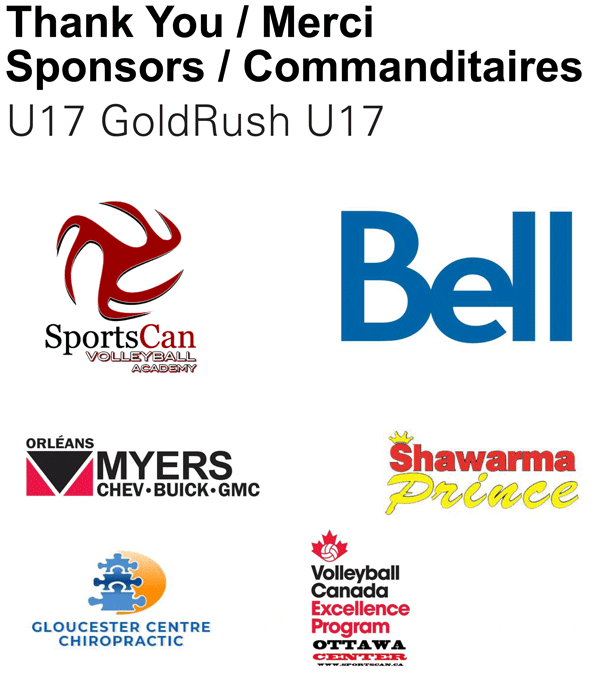 Our competitive and high performance teams look for sponsors in the business world to help support the requirements of competitive sport, keeping youth athletes engaged in positive activity that will improve their health and well-being as they get older. Occasionally tournament hosts will require teams to provide scorekeepers and lines-people. Your cheerful assistance would be appreciated – don't worry, we'll teach you how. Contact us to join a training session. Some competitive and high performance coaches like to utilize video footage to aid in assessing game play. A parent will often take on the task of setting up the camera system. Talk to your coach if you'd like to help out with this during tournaments.